Certain cities in Europe are booming and we get that you want to be a part of it. Check out our run down of 2018’s most exciting European cities for finding work. Ah, Europa. The continent has always had some of the world’s best cities when it comes to big career opportunities, but this list of cities is always changing. When one place booms, another dwindles. We’ve put our research caps on and come up with a fresh, up-to-date list of the best European cities for finding work. It turns out that they’re scattered all over the place, so there’s something for everyone. We used sources such as Numbeo (for living costs), Payscale (for salaries) and the latest online studies (for everything else) to cherry-pick the most valuable information. Enjoy the tour. The best cities in Europe for finding work right now are: Eindhoven, Tallinn, Amsterdam, London, Berlin, Stockholm and Lisbon. Read on to find out more about each city. If tech is what gets you going, get going to Eindhoven. This Dutch city, situated in the south of the Netherlands, is one of Europe’s most exciting and fast-growing tech hotspots. In the time it’s taken for you to read that sentence, another techy Dutch startup has probably popped up. Back in 2013, Forbes described Eindhoven as “hands-down the most inventive city in the world” and in 2017 it was named by Dispatches as the best city in Europe for expats. Cop that. There’s a lot of fuss about Eindhoven’s High Tech Campus, a gathering of over 160 companies and 11,000 researchers who share all their knowledge with each other. The campus is known as “the smartest km² in the world”, so it’s kind of a big deal. Eindhoven is a green and spacious city, full of flashy new buildings and big opportunities. What’s more, the chocolatey land of Belgium is only a 20-minute drive away. 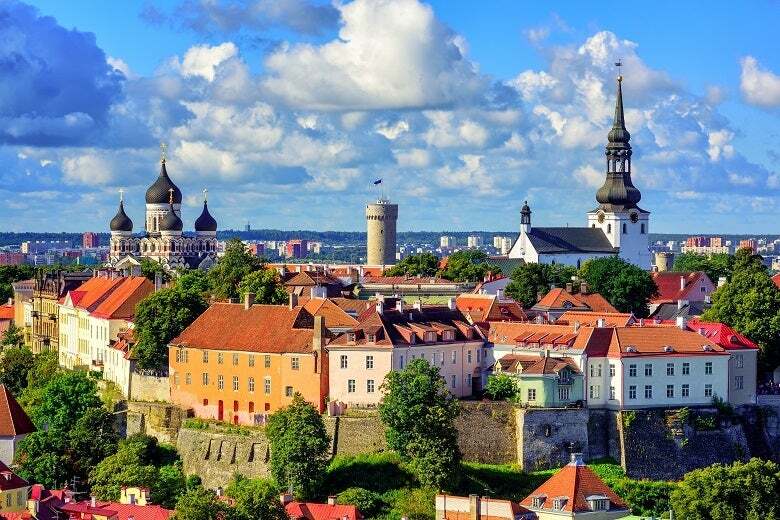 The Estonian capital of Tallinn is getting quite a lot of attention. Despite its fairly remote location (right in the northeastern corner of mainland Europe), the city’s startup scene is thriving. Since 2014, Estonia’s e-Residency programme has turned Tallinn into the perfect place for birthing new companies, allowing people to acquire a ‘digital residency’ without actually having to move to Estonia. The city’s biggest success story is Skype, which was invented by some Scandinavians but entirely developed in Tallinn. People are also digging Tallinn for its super duper affordability, being one of the cheapest capitals on the continent. If that doesn’t make saving money sound easy enough, public transport in Tallinn is also free. You can hop on a bus for fun and it won’t cost a cent. The setting is nice too, with the Baltic Sea in one direction and magical forests in the other. Here’s another reason to move to the Netherlands. If Eindhoven sounded a bit too obscure for you, the Dutch capital is chock-full of career opportunities. 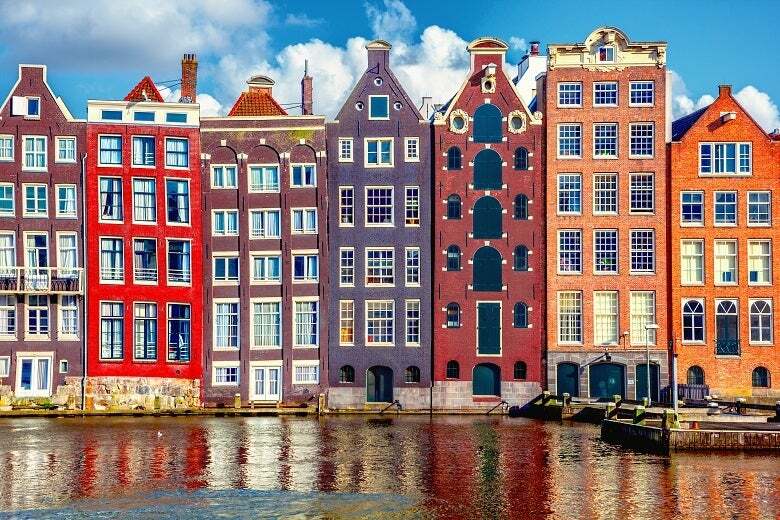 In 2017, marketing firm Hubspot declared that Amsterdam was the best tech city in Europe to work in, based on things like salaries, living standards and broadband speeds. Hubspot also got chatting to almost 500 Amsterdammers about their tech scene and 91% of people said they believed that companies can succeed there. You certainly can’t knock their optimism. The city is also home to some big annual tech conferences (e.g. TNW) where you can make connections with important people. As a place to live, the Dutch capital is super goed. With over 180 different nationalities based there, the vibes are extremely multicultural. The centre is also a fairly car-free affair, and instead you’ll find over 400 km of cycle lanes winding through the city. To top it all off, Amsterdam beat every other European city in the Economist’s 2017 ‘Safest Cities Index’, so you can live your techy dream without too much trouble. Of course we had to mention the Big Smoke. The UK capital has been a major global financial centre for centuries, and it doesn’t seem to be going anywhere. Despite the fears surrounding Brexit, in 2017 London’s venture capital investment in tech reached a record high of £2.99 billion. That’s double the amount that London received in 2016. Likewise, in Inc’s 2018 rundown of Europe’s 5,000 fastest-growing companies, London came first with a solid 197 businesses. The city is bursting at the seams with thriving industries, from finance and technology to media and tourism. Forget Silicon Valley; it’s all about the Silicon Roundabout. Life in London is famously expensive, but you’re paying a premium to live in one of the world’s most exciting cities. There is always something to do there, whether you’re a young’un looking for gigs and clubs or a family looking for a nice green park. The city is always changing, always growing, and there’s always another weird bar popping up in Shoreditch. Major companies: HSBC, Sky, GlaxoSmithKline, Amazon, Facebook and Google. The German capital has long been the place for wild ravers and ice-cool creative types, but more recently it’s also become a bit of a hotspot for tech. The advisory agency Gruenden reckon that, on average, a new startup is born in Berlin every 20 minutes. According to Ernst and Young, the city now has about 2,500 active startups and they’ve collectively raked in around $2.7 billion in venture capital. Berlin’s business world is skyrocketing and it’s starting to make Munich and Frankfurt feel a bit uneasy. Most of the buzz is happening in Silicon Allee, a coworking campus full of clever companies. It sounds way better than Silicon Roundabout (at least ‘Allee’ rhymes with ‘Valley’) and it’s got its own craft beer bar. Some seriously major companies are racing to get a piece of the Berlin pie. You know it’s a big deal when the big dogs get involved. Microsoft and Google have both invested in major ‘accelerator’ spaces in Berlin for new startups, which all sounds very fast and exciting. Twitter, Uber and Facebook have followed suit and set up offices there too. It’s one big business snowball – or schneeball – that keeps on getting bigger and bigger. 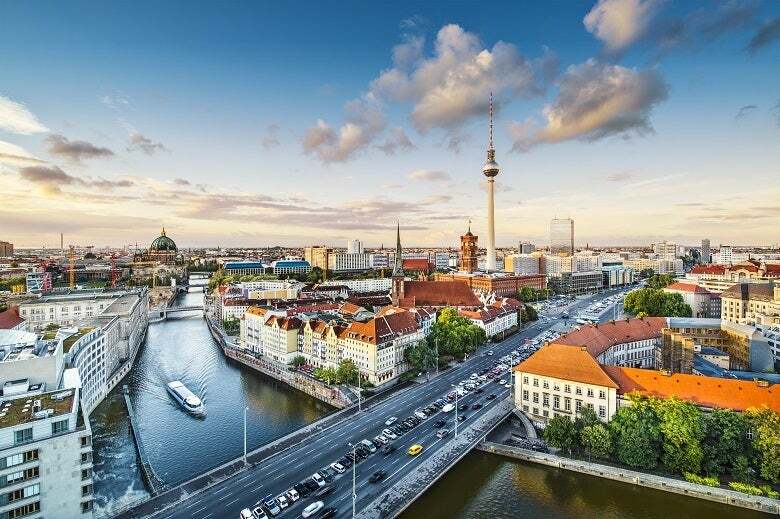 The question is whether the famously affordable Berlin will stay that way (we don’t have the answer). Major companies: SoundCloud, Siemens, Deutsche Bank and Mercedes-Benz. Welcome to the fastest-growing capital city in Europe. Or so say the Swedes. Economist Kjell Nordström has predicted that Greater Stockholm’s population will more than double by 2045 to about 5 million people. There are many reasons for this, but one of them is surely the city’s booming tech scene. Stockholm is creating jobs and attracting investment at a seriously impressive rate. According to the Milken Institute’s ‘Best-Performing Cities Europe Index’ (which measures things like job creation and wage gains), Stockholm came a healthy second, right behind London. A ‘unicorn’ is a company founded after 2003 that has reached a $1 billion valuation, and the Swedish city has churned out no less than five unicorns, including Spotify, King (they make Candy Crush) and Mojang (they make Minecraft). The winters might be bitterly cold over there, but the people in Stockholm have otherwise got things pretty good. For one, they’ve absolutely nailed their work-life balance; most people get at least five weeks of holiday each year, and parents are given 480 days of leave to share between them. The city itself is beautiful and you’ll fall in love with the coffee-and-cake-based pastime that is fika. Despite the Swedes’ excellent proficiency in the English language, it can really help your employment chances over there if you know a bit of Swedish. Major companies: H&M, Ericsson, Spotify, Nordea Bank, Skype and Electrolux. Lisbon has been on quite a journey over the past ten years. Hit hard by the global recession of 2008, it received a whopping $85 billion bailout by the EU. This set the Portuguese capital back on the right track, and now Lisbon is bouncing from strength to strength. It’s humming with bright entrepreneurs and an endless stream of tech startups. The Financial Times think the Lisbon economy is growing at its fastest rate since 2000 and nobody’s sure when things are going to calm down again. In 2016, the big annual Web Summit conference moved from Dublin to Lisbon, and this basically told the world that Lisbon was the hottest place for new startups to be. Of course, nobody complained; the living costs are cheap, the weather’s warm and the food is marvellous. It’s all a very familiar story; swanky co-working spaces are springing up, huge international companies are setting up new offices, there are government initiatives to encourage investment, you get the idea. Most excitingly, an old food factory is transforming into an enormous 35,000km² startup campus called The Hub Creative do Beato. Google and Volkswagen are both planning new tech centres in Lisbon, and you’ll even find a few ‘coding bootcamps’ (like Academia de Código) dotted around the city. Major companies: Deloitte, Uniplaces, Nokia, Huawei, Microsoft and Google. Hopefully at least one of these places has tickled your fancy. Whether you want a wintry city in Northern Europe or a balmy city down in the South, we’ve got your options covered. At MoveHub, we can help you move your belongings abroad; fill in the form at the top of this page and our suppliers will get back to you with their best prices. Good luck!